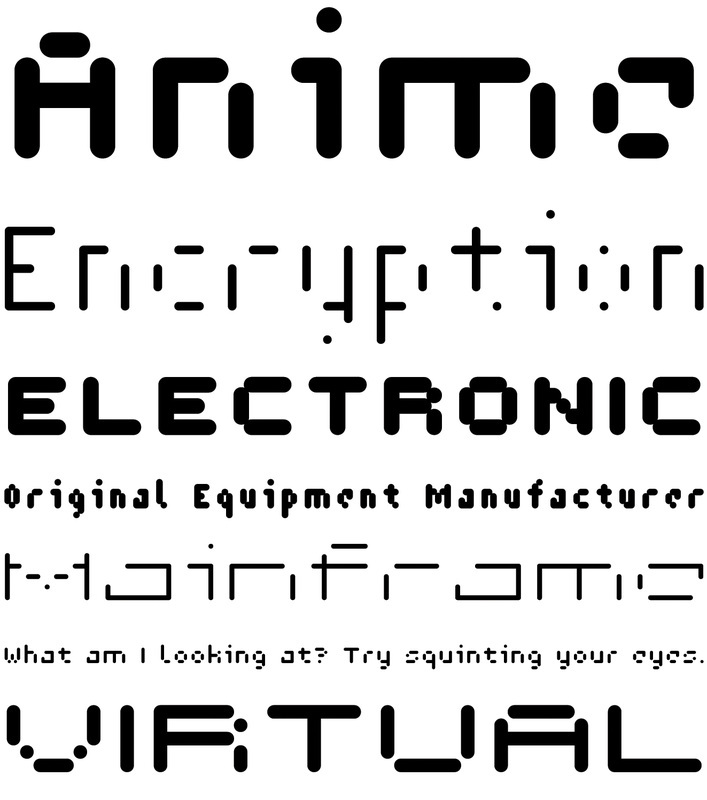 Cypher is a techno looking font that attempts to employ the Gestalt principal of closure. 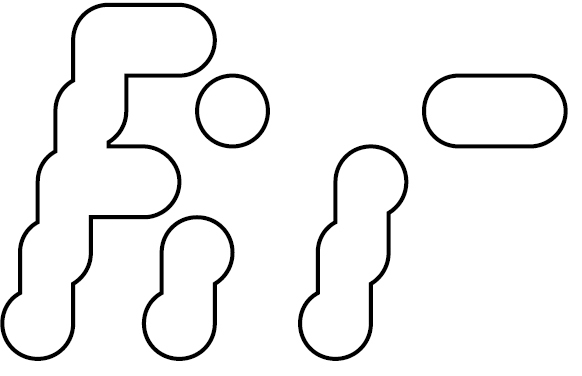 It may, at larger sizes look like some sort of code or a bunch of dots and dashes, but when viewed at smaller sizes it falls together into legible words. This font family was first inspired by an experiment to try to make a legible upper and lower alphabet with the smallest grid possible that would still describe the letterforms. 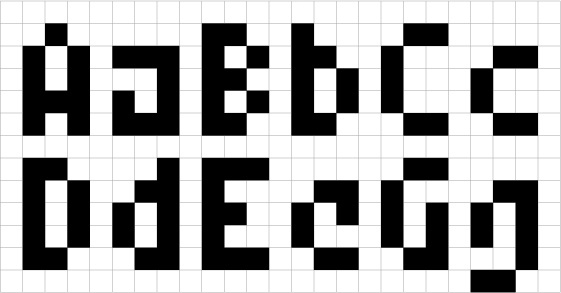 The original conclusion was that it could be done in a 3x6 grid. This made a fun design exercise, but it makes a lousy font. 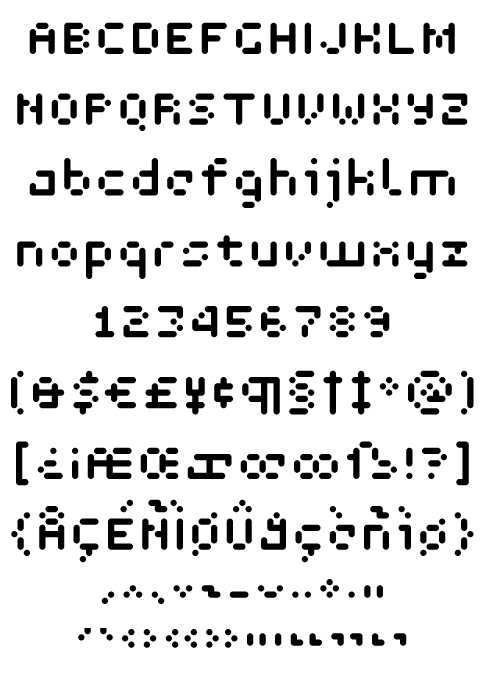 Cypher 3 Regular Italic Outline. The grid was expanded a bit for aesthetic reasons to a 3x8 grid, But not restricted so severely and so occasionally goes wider than 3 for the certain letterforms. From this a whole family of widths and weights was born, and rather than simply obliquing for italics, a true italic of sorts was created.